I now have a 15 metre photography pole. Unlike car mounted systems, this portable photography mast, allows me to shoot from almost any place on the property that has easy pedestrian access. There is no restriction or need for vehicle access. This means you can get the perfect angle every time. Sometimes the best angle can be from the back yard, or somewhere where a car can not go. 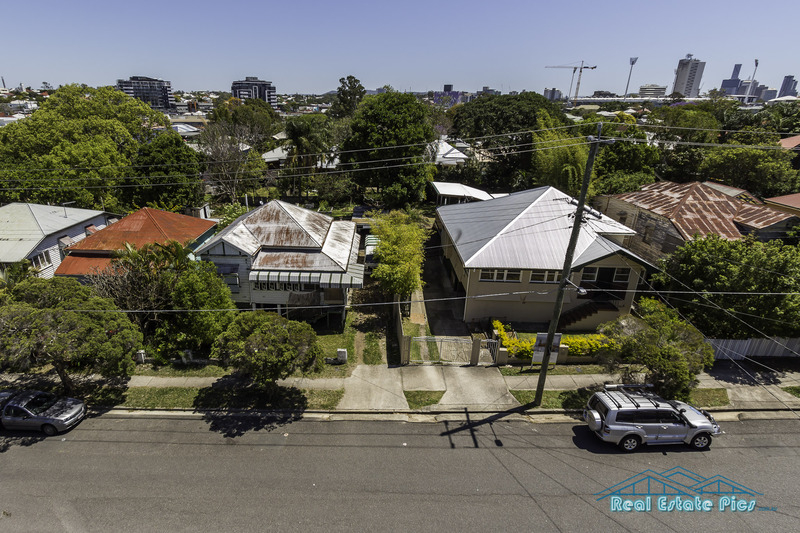 15 metres above the ground level means in most instances, your image can be taken from above the roof line (a typical 2 storey is about 8-9 metres approx) This elevation will generally highlight any views or points of interest on the other side of the property. If you want to highlight a large block of land, a complimentary overlay will be provided with an elevated photo package, showing the boundaries, and any other required information. When to use pole shot ? Large block of land / acreage / development site. There are views or points of interest at the rear that can not been seen from street level. You have potential to add more height to the building (another storey) or build another taller building – opportunity to show the possible view. Property has already been on the market and not sold – show the property is a new and different angle. The building can not been seen because of obstruction from trees, retaining walls, fences. Property is on the “high side” of the street, or you have to look up to see the property. All these situations could possibly benefit from a high shot. I also have a small photography pole on board. This pole gives elevated shots of up to approx 5 metres. This is ideal for when a small amount of elevation is needed, and the full height of the 15m pole is not required. These 5m pole shots are included for free, when required, for standard photoshoot bookings. If you have any questions or would like to chat about the possibility of obtaining an elevated image for your situation, please call or email anytime, Cheers Peter Ph. 0411 334 646.